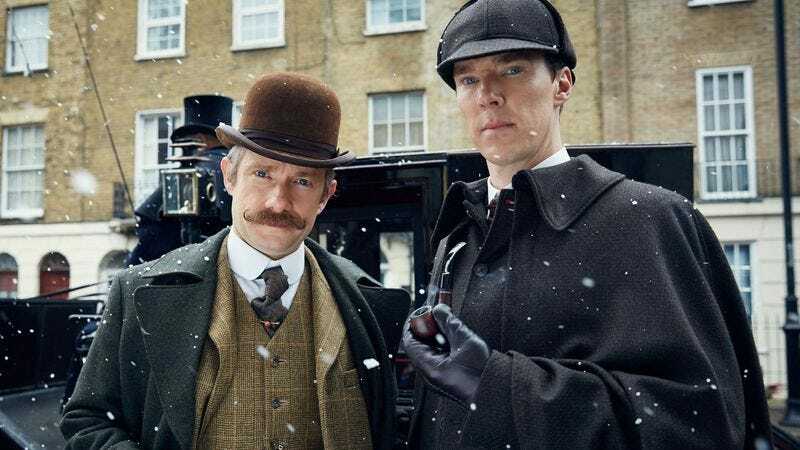 It’s been two years since the last regular episode of Sherlock, so even considering January’s The Abominable Bride special, the wait has seemed interminable to fans. Of course, a long gap between seasons (or series) of BBC shows is nothing new, but complaining about an extensive hiatus fills the time rather nicely. Still, although we know that there will be a fourth season at some point, the release date hasn’t been announced yet. And so, perhaps sensing viewer restlessness, series co-creator Mark Gatiss dropped a cryptic hint on Twitter about Sherlock’s return. There isn’t much to be gleaned from the bare-bones clue, other than to suggest that perhaps Sherlock will be despairing of poor Yorick at some point. But at least fans can take comfort in the knowledge that Gatiss is thinking about them, and how to torture them by dropping these breadcrumbs over the next year and a half, something that wasn’t lost on his followers. There are also those who find the timing of Gatiss’ hint to be suspicious, what with April Fools’ Day now only a day away. But an April Fools’ joke wouldn’t be the first questionable PR stunt the show has pulled.